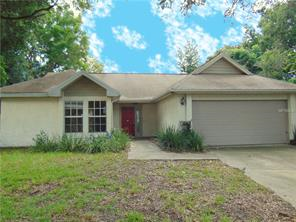 Awesome 3 bedrooms, 2 baths HOME FOR RENT on a CUL-DE-SAC LOCATED in the Piedmont Lakes community. This inviting home offers an open floor plan. The large living room provides ample space for the family and/ or guests. The kitchen features plenty of cabinet space to store all your supplies, a closet pantry and a full complement of appliances. The kitchen overlooks the grand dining room that will be perfect for your daily family gatherings. The large master suite includes a full private bath and a closet almost a full walls length with two separate entrances. The additional bedrooms will be perfect for the growing family or guests. You can enjoy the cool fall evening air from the comfort of the large screened patio. The large fenced backyard will be a favorite for the entire family and friends too. This home is just minutes away from shopping and dining destinations as well as major thoroughfares for your travel needs. Move-in Ready August 1st.